Crash Bandicoot N. Sane Trilogy Demoed At PAX East | Nerd Much? Over the weekend, the Crash Bandicoot N. Sane Trilogy was demoed at PAX East this year and it looks honestly very exciting. The release of the games, June 30th, is still a ways off, but the demo looks very smooth in this video captured by a PAX attendee. There are plenty of other videos appearing online, of course, but this one in particular features a rep accidentally mentioning that the games will be coming out on PC (and running 4K to boot). This may or not be true, as Crash is supposed to be a PlayStation exclusive, so perhaps she confused the game with something else that is available on the PC. [Crash Bandicoot is] enhanced, entranced & ready-to-dance with the N. Sane Trilogy game collection. Now you can experience Crash Bandicoot like never-before in Fur-K. Spin, jump, wump and repeat as you take on the epic challenges and adventures through the three games that started it all, Crash Bandicoot, Crash Bandicoot 2: Cortex Strikes Back and Crash Bandicoot: Warped. Relive all your favorite Crash moments in their fully-remastered HD graphical glory and get ready to put some UMPH in your WUMP! 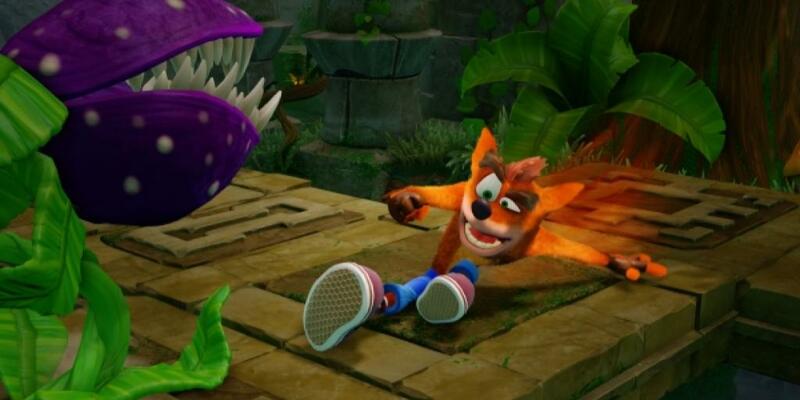 What do you think of Crash’s smooth moves in the PAX demo? Will you be purchasing this game when it comes out? Let us know in the comments below!